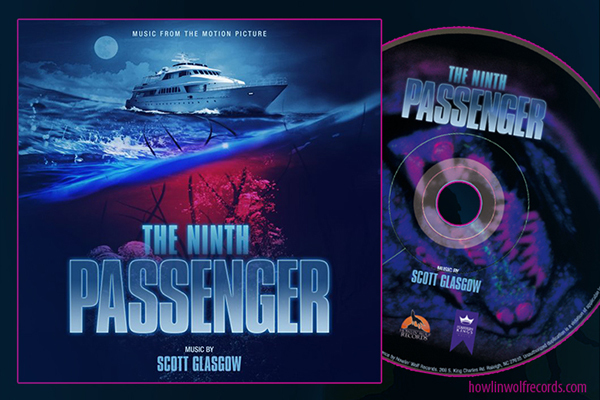 Howlin' Wolf Records: SIX STRINGS: Varèse Sarabande: "THE GOONIES, BARBARELLA and CHRISTINE"... Goes VINYL! Varèse Sarabande: "THE GOONIES, BARBARELLA and CHRISTINE"... Goes VINYL! Varèse Sarabande is launching Varèse Vinyl, an online store where fans can purchase the label’s vinyl recordings, on March 30, 2018. 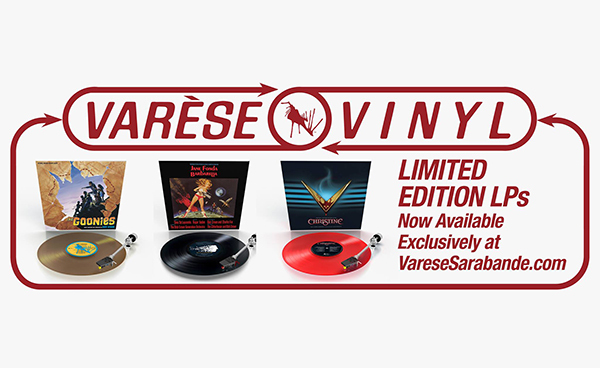 When Varèse Vinyl goes live the store will feature three new numbered, limited releases exclusive to the store: CHRISTINE (John Carpenter in association with Alan Howarth) in an exclusive “Fury Red” color, a 180-gram vinyl version of BARBARELLA (Bob Crewe and Charles Fox), and for the first time on LP, a two-record set of THE GOONIES (Dave Grusin) on “Willy’s Gold” colored vinyl. Follow One-Eyed Willy’s map to the first ever LP release of Dave Grusin’s beloved score for THE GOONIES. The film is from the imagination of Steven Spielberg, it plunges a band of small heroes into a swashbuckling surprise-around-every corner quest beyond their wildest dreams! Following a mysterious treasure map into a spectacular underground realm of twisting passages, outrageous booby-traps and a long-lost pirate ship full of golden doubloons, the kids race to stay one step ahead of a family of bumbling bad guys…and a mild- mannered monster with a face only a mother could love. Celebrating its 50th anniversary this year, BARBARELLA will be released on 180-gram black vinyl and features original music by Bob Crewe and Charles Fox. The classic Roger Vadim science fiction film stars Jane Fonda in one of her career defining roles as an astronaut from the future who sets out to find -- and stop -- the evil scientist Durand Durand.